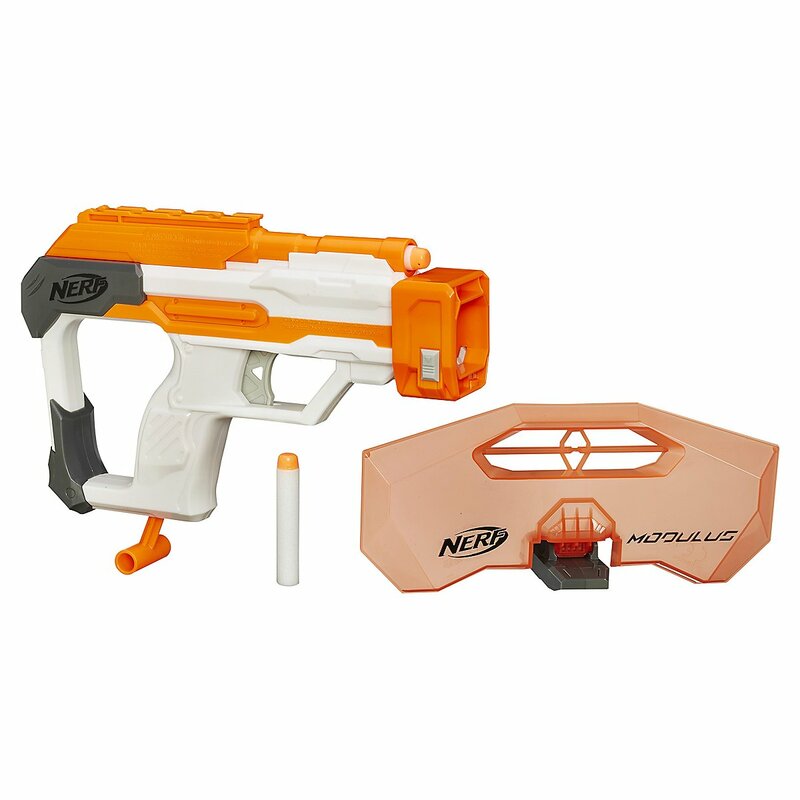 Those who want to be prepared for the worst... modify their blasters with the Modulus Mission Kit! Shoulder rest with integrated backup nerf for emergencies. 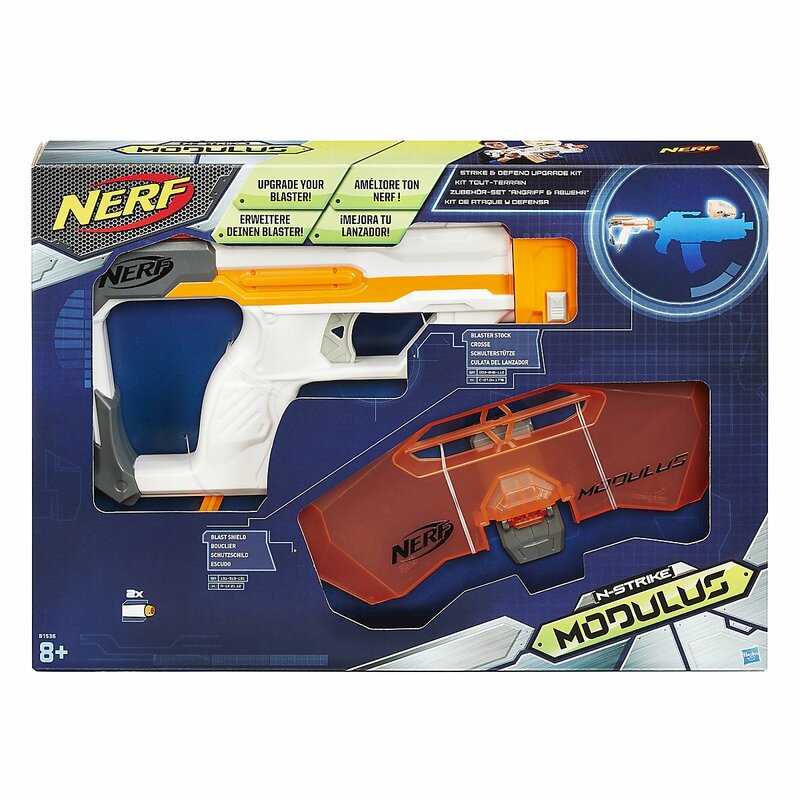 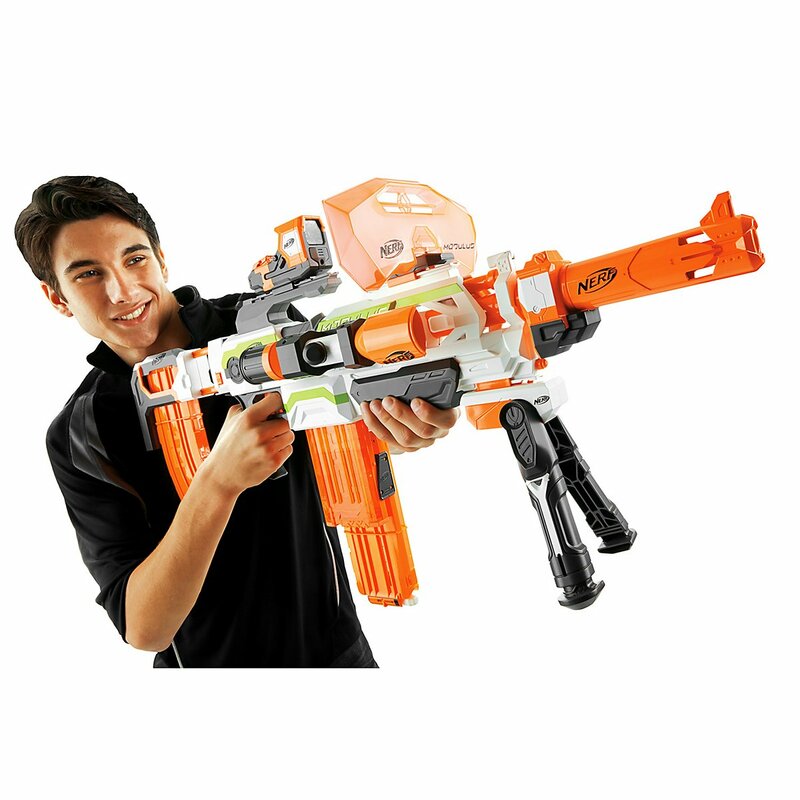 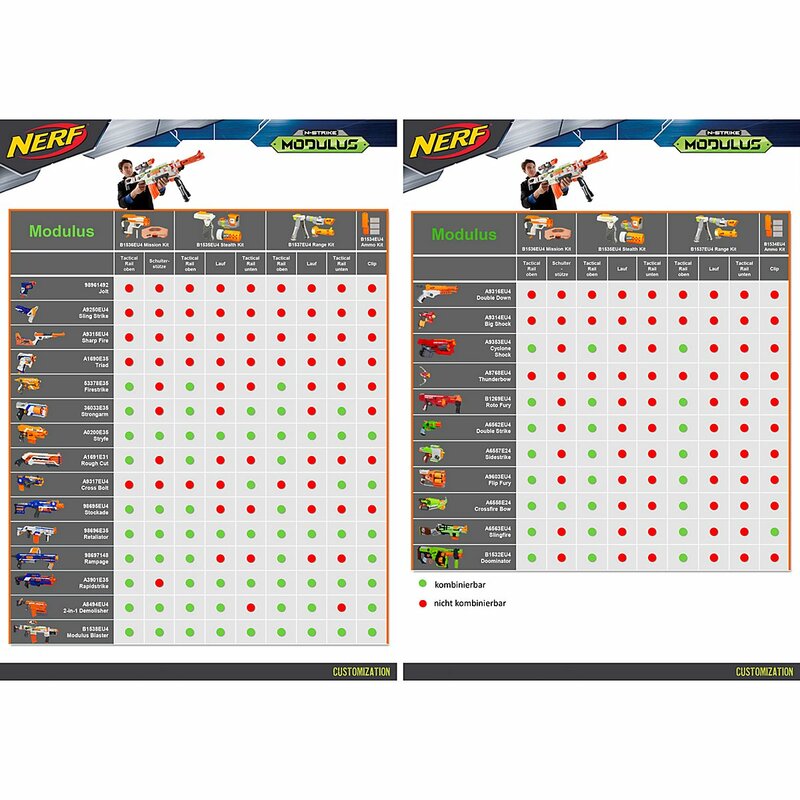 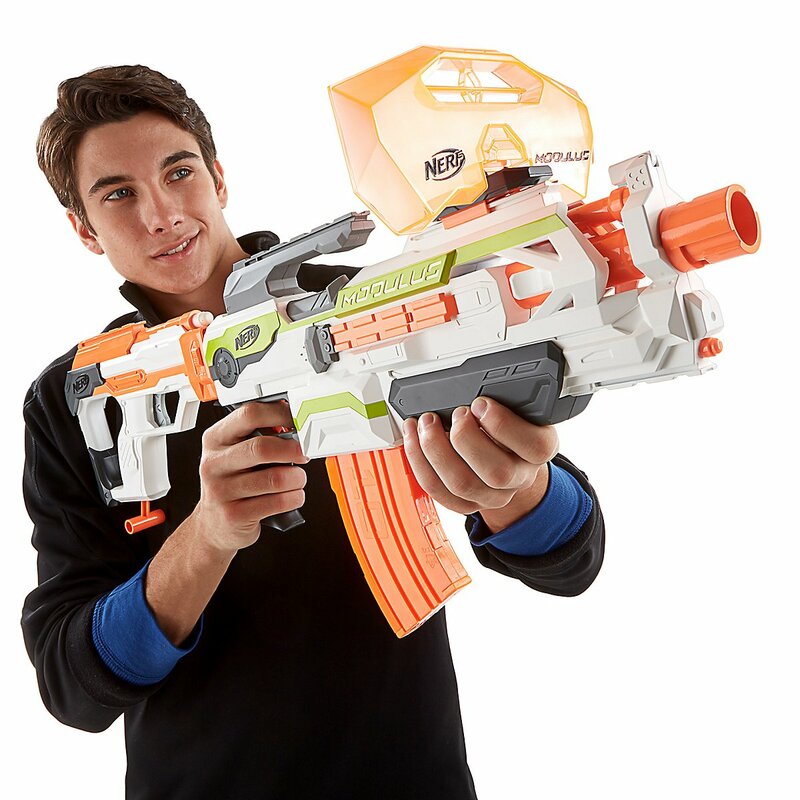 With the Modulus Mission Kit you will be equipped for the very worst of nerf battles - the shield can protect you while you analyze the situation and the shoulder stock is your very own ace in the hole - it features a small integrated blaster not unlike the jolt that can be fired as a last resort - just detach the stock and take it by its pistol handle.